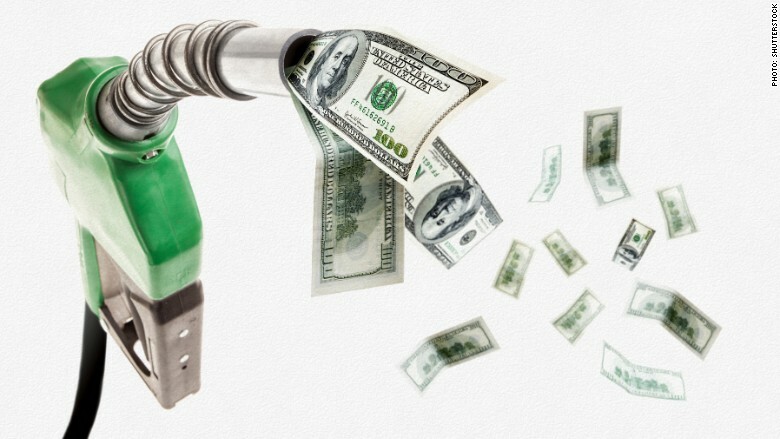 The average American driver saved $360 this year on gas -- nearly a dollar a day. So what are people doing with that "extra" money? Americans claim they have been saving it, but that may be a fib. When the JPMorgan Chase Institute looked at people's actual bank account records, they found that about 80% of that money is going out the door. "Every time you're driving down the street, you see those gas prices," says Diana Farrell, president of the JPMorgan Chase Institute. "It's a reminder you have extra money in your pocket." Apparently, people have been especially excited to dine out more. About 20% of the gas savings has been spent on restaurants this year. No other category is experiencing that kind of bounce, and it might explain why restaurant chains like Olive Garden have been doing so well lately. Related: Save or spend your gas savings? This new research from the JPMorgan Chase Institute is a bit of a surprise. The conventional wisdom this year is that Americans have not been spending their gas savings. Government data, in particular, have not shown much of a boost to spending. Many prominent economists, including Fed chair Janet Yellen, have been perplexed that spending hasn't risen more in 2015 as the economy has improved and gas prices remained so low. But Farrell says part of the problem is how the government calculates statistics and surveys like Gallup that ask people about their spending habits. That's useful, but people don't always do what they say. JPMorgan (JPM) is America's largest bank. It has a lot of customers. Many have checking and savings accounts with the bank as well as credit and debit cards and even mortgages. That huge customer base gives JPMorgan a pretty full picture of what people are doing on a day-to-day basis with their money. The JPMorgan Chase Institute, the bank's think tank arm, analyzed 25 million customer accounts of people who have debit and credit cards at the bank. It found that people living in the Midwest and South tend to spend the most on gas -- meaning they drive more or have bigger cars. They also found that Millennials and the poor are benefiting the most from cheap gas, since spending on fuel accounts for a bigger chunk of their monthly budget. The good news from the JPMorgan data is that it suggests many people are picking up their non-gas spending. America's economy still relies heavily on people buying goods and services. About 70% of the economy is driven by consumption. But the bad news is that this holiday season may not see the big spending boost some have been predicting from cheap gas. If the JPMorgan data is correct, people have been spending their gas savings all year long. They aren't just putting it in a piggy bank and waiting for the holiday rush. "They may decide to spend a little more," says Farrell, but it's unlikely there will be a spending surge unless gas prices really fall a lot more. Right now, experts are not predicting that. The average price of a gallon of gas in the U.S. is currently $2.31, according to AAA. A year ago it was $3.27. Energy experts forecast gas prices will remain at that low level through the holiday season and well into 2016, but few are projecting prices will fall a lot further.